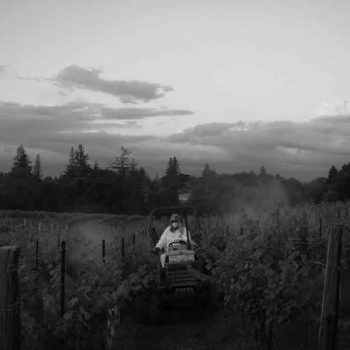 Kathryn Kennedy Estate Vineyard is a 100% Cabernet Sauvignon. The vines cover gentle slopes in Saratoga, California on the inland side of the Santa Cruz Mountains. 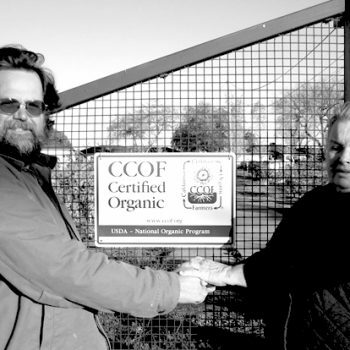 Eight acres of vines were planted on their own roots by Kathryn in 1973. Excellent soil, a climate possessing just the right amount of marine influence, and personal attention combine to yield outstanding grapes. Each vintage is grown by hand and vinified in small lots followed by gentle barrel aging with 90% French oak. The result is big, full-flavored wine with deep color and a decade or more of aging potential. While the acreage at our Estate vineyard has been reduced by residential development to less than one acre, those original Cabernet Sauvignon vines that do continue to grow near Pierce Road will be made and bottled under Kathryn’s iconic silver and black signature label. Vivid purple color. Black raspberry, ripe black cherries, graham crackers, crushed minerals with hints of melted chocolate, cinnamon spice and mint candy. A dark brooding Cabernet that’s true to its mountain structure, this is a “full throttle” style undoubtedly influenced by the drought conditions of the 2014 growing season. Nineteen twenty-seven was the birth year of Kathryn Kennedy. 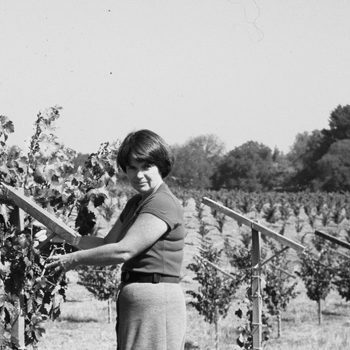 An era of elegance, European sophistication, and the birth of a great female wine pioneer. Sparkling wine history is as deep in the Santa Cruz Mountains as any region in California. Since the 1880s true Burgundian grape varieties have been grown in this ideal coastal climate for making sparkling wine. Kathryn Kennedy’s tiny production is rare in California, where most sparkling wine producers are quite large. This cult bottling is sourced from tiny mountain vineyards and hand crafted using method traditionalle. The result is a worthy tribute to it’s namesake. Dark opaque color…Graphite and cedar nose reminiscent of ripe Bordeaux. Deep brooding fruit aromas with purple plums and dark chocolate aromas followed by hints of loam and cocoa. Plush entry and dense mouth-filling texture. Youthful and structured but with ripe tannins that are fine grained and soft on the finish. Because no one vineyard location dominates this blend, SLC represents a unique window into the taste of an entire growing region. The taste descriptors for Cabernet from our region most often include “cool climate”, that is to say true varietal Cabernet flavors including the dry herbs and bright fruit components, void of the hot climate generic red quality or prunyness. Natural acidity and sleek texture can resemble an Italian or French structure and are a welcome relief from the overly mushy modern California style.